James qualified from Guy’s Hospital in 1992, where he then undertook House Officer postings in Children’s Dentistry and then Oral Surgery. In 1997 James returned to London where he undertook a part-time MSc in Endodontics at Guy’s Hospital under Prof Pitt Ford. On completing his Masters degree, James remained at Guy’s for a number of years as a part-time member of staff, teaching Undergraduates and supervising Postgraduate students as well as treating patients in his own clinical sessions. James also provided an endodontic referral service in several practices during this period. Since leaving Guy’s James has expanded his Endodontics practices, in Kent and Essex. 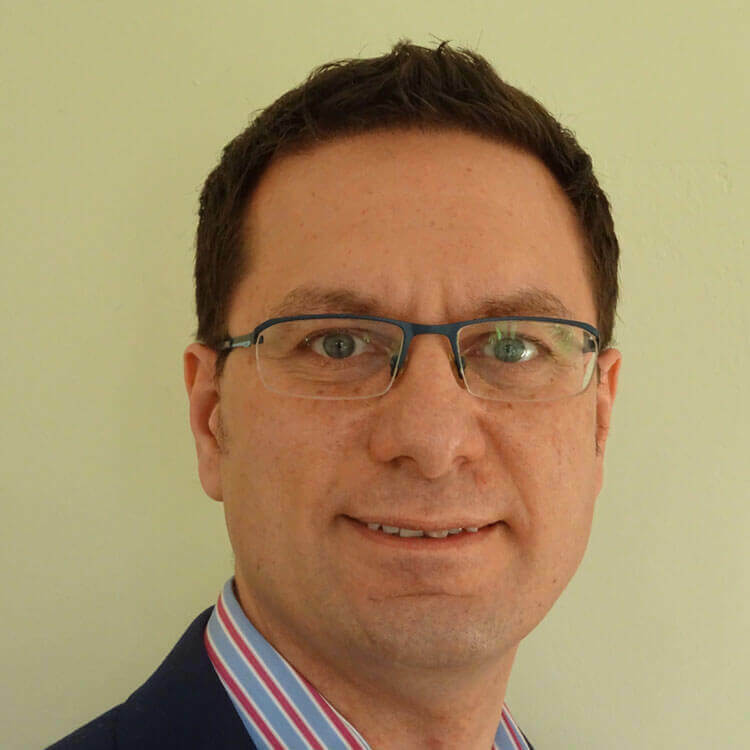 James is committed to further education and is a member of the British Endodontic Society, the European Society of Endodontic and American Association of Endodontists. He also lectures nationally and runs endodontic study clubs and courses aimed at general dental practitioners. He is an opinion leader and trainer for Dentsply and Schottlander.